Chitosan, a deacetylated chitin, is one of the few natural polymers similar to glycosaminoglycans (GAGs) widely distributed throughout connective tissues. It has been believed that the excellent biocompatibility of chitosan is largely attributed to this structural similarity. Chitosan is also known to possess biodegradability, antimicrobial activity and low toxicity and immunogenicity which are essential for scaffolds. In addition, the existence of free amine groups in its backbone chain enables further chemical modifications to create the additional biomedical functionality. For these reasons, chitosan has found a tremendous variety of biomedical applications in recent years. 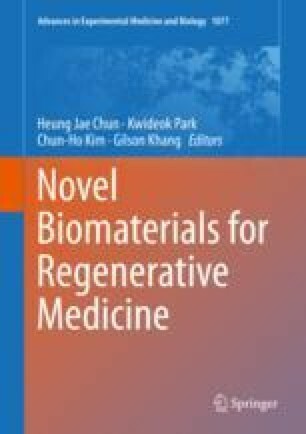 This chapter introduces the basic contents of chitosan and discusses its applications to artificial skin, artificial bone, and artificial cartilage in tissue engineering purpose.